By LUDWIG VON KOOPA - Splatoon but... we have a lot to process on what we just watched. 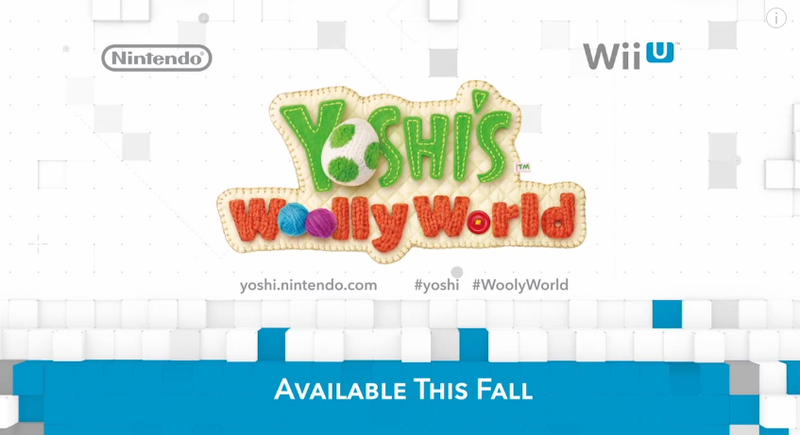 Nintendo is not done showing us new content. This live reaction log continues right where the previous one left off that was the April 1, 2015 Nintendo Direct. I'm Nintendork 13 13, RawkHawk2010 is himself, Vortexica is that breezin dude, and... we're worried about Kamek's livelihood. Joined by this intensely-staring Treehouse dude. 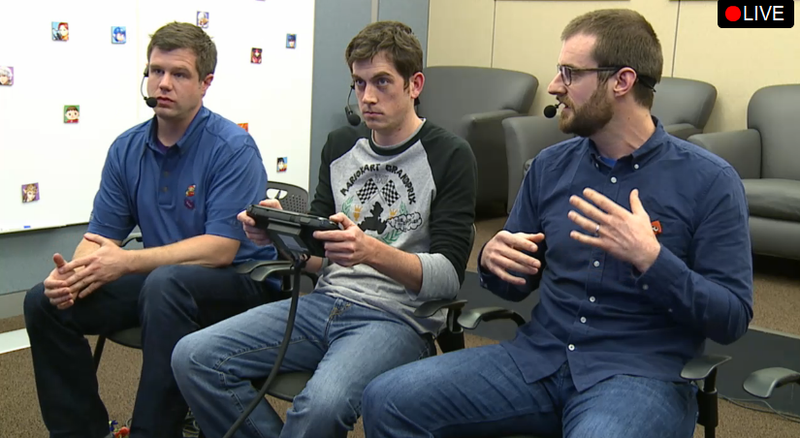 Most important stuff was FE + DK64. "That was an awesome Nintendo Direct!" "Some of those indie trailers were awesome"
"The trailer we... THEY made with Mari0 Maker..."
"I actually have some work to do, but you guys get to play videogames all day." Jumping into dat Battle Dojo. So the cans are weapon-grants. "It's very important to learn how to play" thanks Treehouse. Yeah, turn that off and let's talk about these pics. the ink rails remind me of World of Goo. btw you might wanna publish the Direct. While people are still talking about it. Since this treehouse log isn't tremendously interesting. "I'm transfixed by your ink diving"
DK64 is out in Europe. Or will be in a few hours. Got screenshot of Splatoon amiibo... art thing. 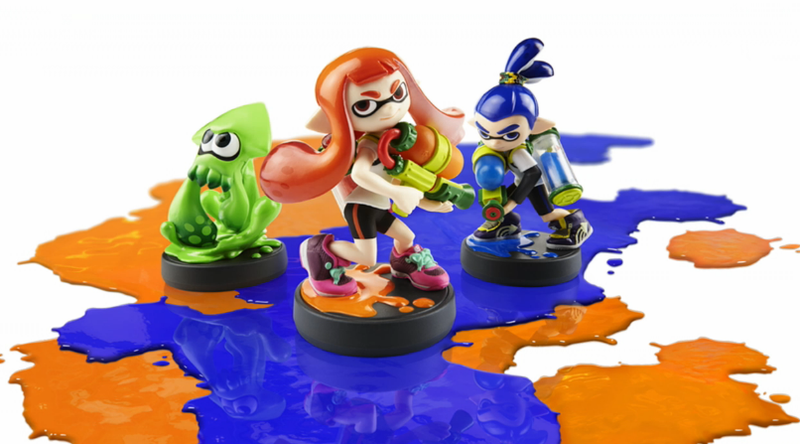 Really awesome picture of the Splatoon amiibo. Rewatching the SMT vs FE trailer to see if it makes any more sense. ...to clean the level with a roller. ...'kay guess it's more like marriage. "I did that on purpose"
It doesn't seem any more like Fire Emblem after rewatching. I'm not sure if ANY of these are FE characters. And they don't actually show any...you know...grid movement. Killer whale special is... I dunno. Special metre isn't totally lost when you get splattered. Guess that's worse than typo-ing Woolly. Inkling girl is sorta seductive in her loss animation. We *should* be talking more about that Direct. There wasn't any FE there. I thought it looked pretty good as a standalone thing. Better than that other SMT garbage I bought. ...there was a new Ace Attorney in the Japan Direct. so was the Direct good? I expected it to be a troll thing. ...So my expectations were surpassed easily. I feel like playing Splatoon is more fun than watching it. "man, that Nintendo Direct, I'm still processing that in the back of my mind"
...Process things at the front of our minds. Wow cool. Watching the UK Direct, and it said those Attack on Titan episodes are free in EU. Now I have no excuse. They said they were available. "You can watch the first two episodes on the Nintendo eShop"
...Well maybe I assumed they were free. I'm re-watching via the link Rawk posted so I can't make out and small print, if that's where it was. They acted like they were only hosting them temporarily. I'll lol if they're not. UK Direct says "Episodes free until July 1st"
.....no idea what's FE about this. "I am NOT happy about how they're handling Fire Emblem if in Japan, though. While the North American video implied that you choose which story you play through, in Japan, the choice is made for you depending on which version of the game you buy." There's a Pegasus Knight I guess. I get through that whole Direct and now the internet bombs! Yo I think Kamek is dead. I guess I should dedicate a whole article to the new amiibo announced. Since I did that last Direct. Has KoopaTV lost another staff member?!? 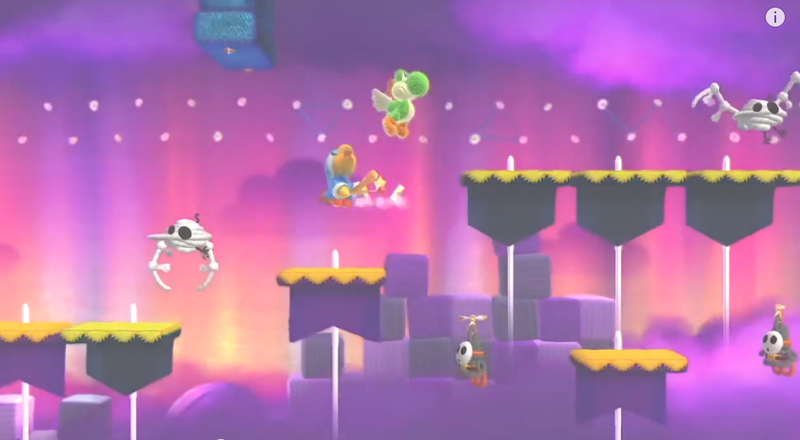 KoopaTV has brought you THREE articles this April 1, 2015. Stay tuned for a total of one article tomorrow for our regularly scheduled newsletter. Also, comment on what you thought of the Direct! where can i find the treehouse presentation from yesterday? It's... not available on YouTube or archived on Twitch, from what I can tell. ...So, for now, you're stuck with our pretty crappy (sorry!) recollection of it. They basically went through the modes. The balloon one, single-player (with cool rails), single-player with an amiibo (the roller weapon) that was cut-off, and then Turf War three times.